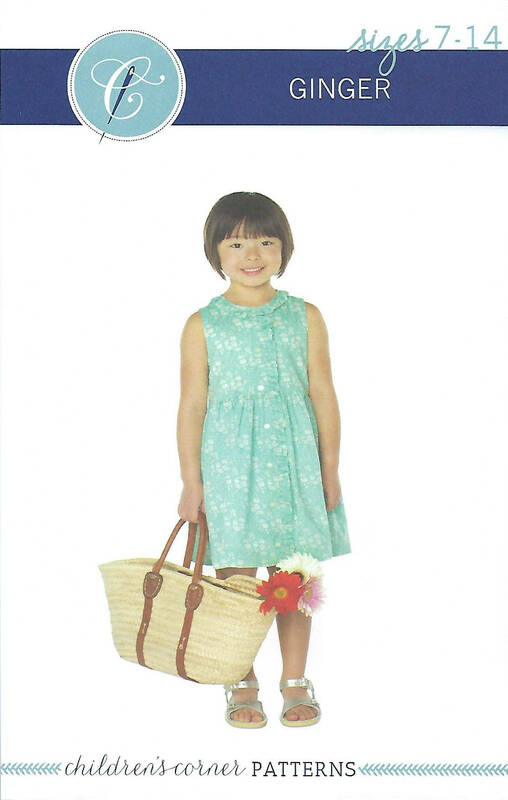 GINGER is a timeless waistline sundress with soft details creating a delightful dress for girls of many ages. 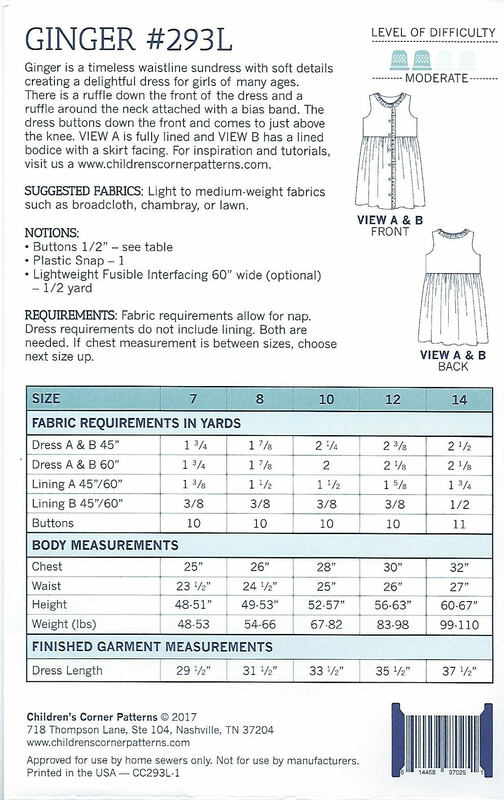 There is a ruffle down the front of the dress and a ruffle around the neck attached with a bias band. 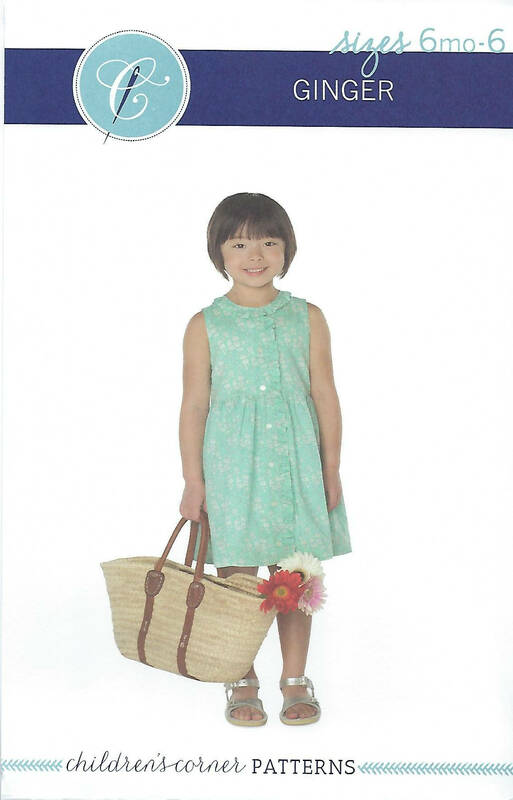 The dress buttons down the front and comes to just above the knee. 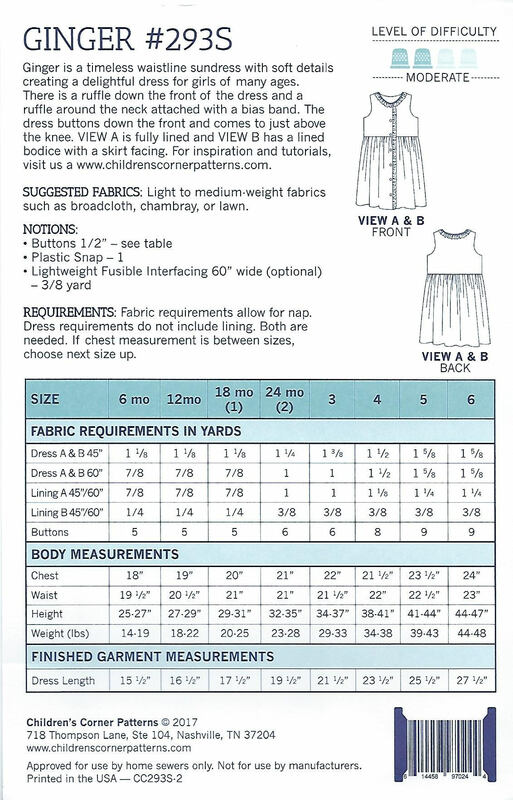 View A is a fully lined and View B has a lined bodice with a skirt facing.